February 28, 2019 Robert W.
Custom tablecloth printing in Vegas can get you that custom printed tablecloth or table throw for your event or show. There is nothing like a custom tablecloth at an event to set yourself apart from everybody. Custom tablecloth printing is not expensive and a cheap form of advertising or branding of your company. Custom tablecloth printing can make that tablecloth in any color you like or any combination of colors. The print can also include logos as well as pictures of products. The material being printed on is a polyester material that is stretchable and is made to fit the 6 foot or 8 foot tables. They are simple to set up because they just get thrown over a table and are fitted to the 6ft or 8ft tables. Vendors love these table throws because the tables that are usually provided at events and shows are scratched and have blemishes. While your competition will have a scratched table, you can have a brightly covered tablecloth that will market your company. These table cloths are three sided, which allows for you to sit behind the table and place your feet underneath the table with comfort. By adding in a banner stand or some foam board signs on top of the table, you pretty much have a nice simple set up that will look great at your event. Custom tablecloth printing allows for your custom printed table throw to be machines washed at home or professionally cleaned so that each and every time you use it, it will look new and fresh. Custom printed tablecloths and table throws are available at sign stores in the Las Vegas area at very good prices. Contact a sign store today and order your custom tablecloth and make your company stand out at your next special event or show. February 27, 2019 Robert W.
Custom truck graphics and decals can et your truck apart from other trucks. Whether the truck graphics are for your personal use or a business truck, signs and decals on the truck will make it stand out. Custom truck graphics and decals are not expensive and in many cases, the owner can install the graphics themselves. There are many You Tube videos explaining how to do just that. Truck wraps are becoming more commonplace in Las Vegas than ever before. But honestly, a partial wrap with lettering and window coverings is a whole lot cheaper than a truck wrap and a lot less expensive. A decal can be contoured cut so that part of the decal is placed on the truck body and then extends into the truck’s glass. The glass will actually have a window film applied to it that is printed with the portion of the decal so that it is in uniformity with the decal. The window film is made out of window perforation material that allows a print on it so that the people on the outside of the truck only see what is printed on the window film and the people on the inside of the truck get to see outside with a unobstructed view. Work trucks usually have vinyl lettering on them that spells out the company name, some of the services they provide and contact information on how to get hold of the company. A logo or decal is placed on the truck side to help distinguish it and jazz it up a bit. This seems to work very good because many service trucks elect to go this way. Las Vegas custom truck graphics and decals are available at local sign stores at very good pricing. Contact a sign store today if you would like your truck to have impressive graphics. 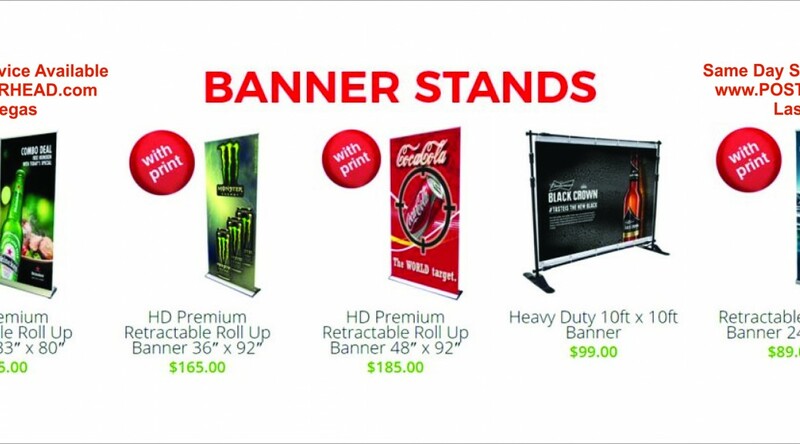 February 24, 2019 Robert W.
Dirt Cheap banner stand printing in Vegas can get you those banner stands printed at wholesale pricing. Why pay retail when you can get banner stands made in Vegas at a discount price ? Dirt cheap banner stand printing come in a variety of sizes with quality printing. Many vendors and businesses that come in for the hundreds of trade shows and conventions Las Vegas hosts are looking for cheap banner stands because they are only going to be used once and then tossed away at the end of the show. Vendors like banners stands at these shows and it is one of the most popular graphics at the shows. Dirt cheap banner stand printing can get you a variety of sizes in banner stands. One of the most popular sizes is 33″ wide and 78″ tall and sells for under one hundred dollars. This popular sided banner stand come with stand, print and carrying bag for travel purposes. These banner stands do come in many other sizes ranging from about 2 feet wide to around 5 feet wide and in economy and deluxe versions. Dirt cheap banner stand printing has actually come in pricing because of the modern printers that can print faster with higher quality. The newer printers utilize more inks to make a wider array of colors across the spectrum and utilize state of the art print heads that allow for faster printing with higher quality inks that are environmentally friendly. Dirt cheap banner stand printing can also be done same ay in many cases. 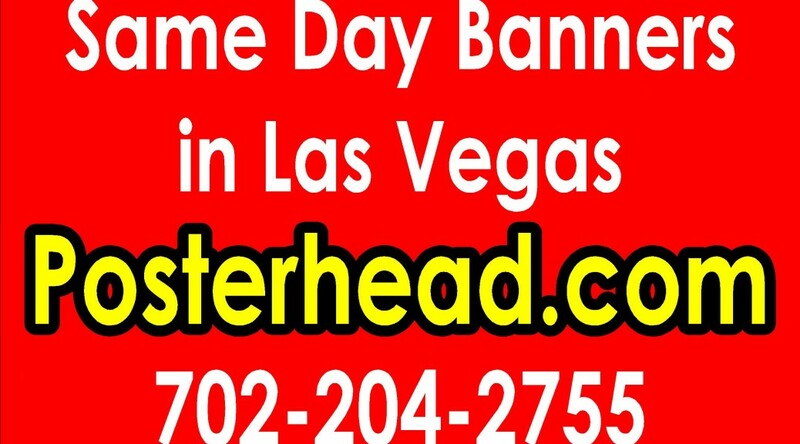 Often vendors come to Las Vegas for the shows and find themselves in need of a fast banner stand. Because of the newer printers most sign stores have, they are able to print and make a banner stand the same day, often in just a few hours. 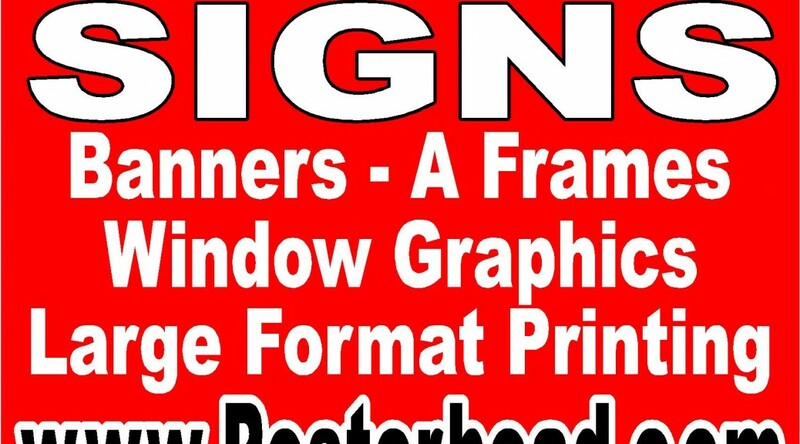 Custom Poster printing in Vegas is available at sign companies who have large format printers. These newer, state of the art large format printers are simply amazing in the sense that they can print posters, banners and other signage very fast with high quality. Custom poster printing is no problem with modern printers. 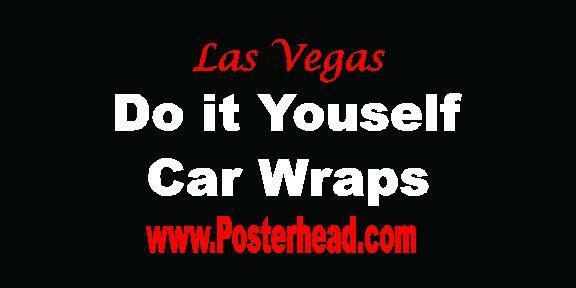 Custom poster printing is used quite frequently by vendors and business who display at the many trade shows and conventions in Las Vegas. Las Vegas is the top destination for trade shows and conventions in the Unites States which attract hundreds of thousands of businesses and vendors and millions of participants to these events. They bring in millions of dollars to the economy of Las Vegas yearly and some of the biggest convention venues are located here. These large convention venues have over one million square feet of floor space to hold conventions and often , because of their size, multiple conventions are being held at the same time. 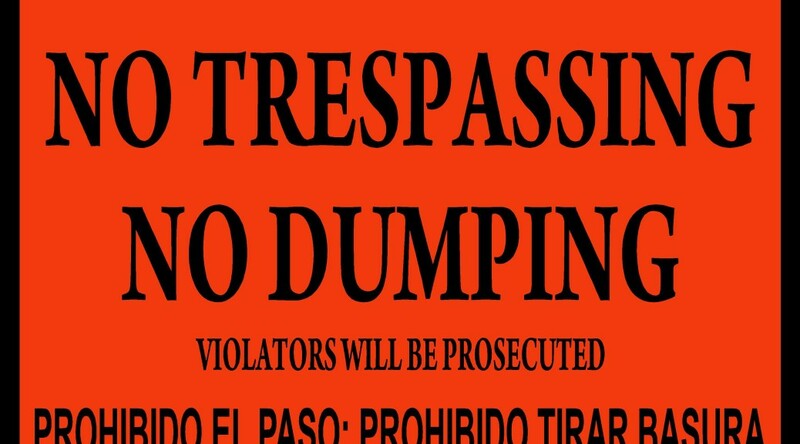 Consequently, many signs, banners, banner stands, and posters are required for signage at these events. Since posters are a delicate item, many vendors prefer to have their poster printing done in Las Vegas and simply just pick up the posters here rather than risk damage to the posters through shipping. 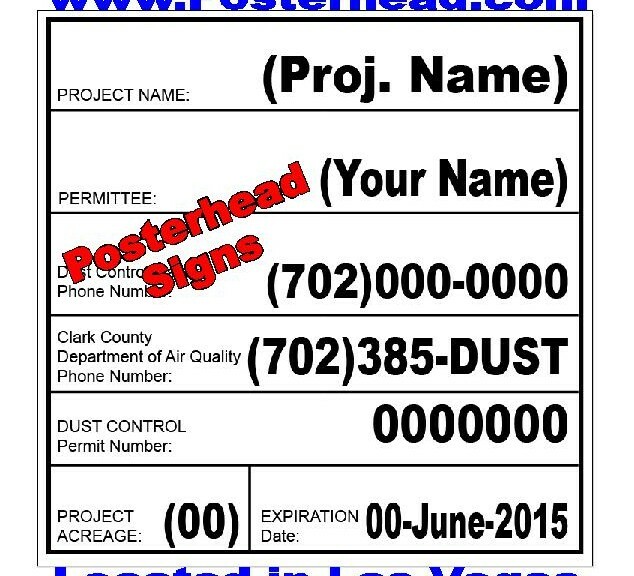 Custom poster printing can be ordered through local sign stores in the Las Vegas area. 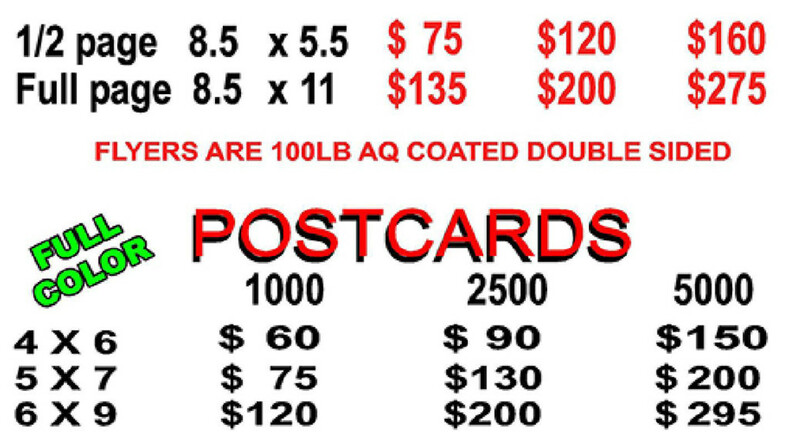 Contact one of these signs stores if you find yourself in need of custom poster printing. February 22, 2019 Robert W.
Discount printing services can be had in Las Vegas at very cheap pricing. Discount printing services are available for flyers, postcards, brochures and other types of printing. While many sign stores and printing companies offer retail pricing, discount printing services can get you those wholesale prices. Many businesses use discount printing services for their menus and brochures as well. Most fast food restaurants that have sit down use disposable menus to help customers decide what type of food they want to eat. In addition, the fast food restaurant will include a flyer in the take out to remind the customer what type of food they have and some instructions on how to order the food in advance. Many restaurants are also now offering delivery through Uber, Lyft or some other delivery service. Discount printing services is also a favorite of club promoters who have to fill their venues every night in Las Vegas with tourists. Since tourists are here in Las Vegas and it is hard to market to them, club promoters go old school and hand out flyers to them to promote their venues. They hire young attractive girls to walk Las Vegas Blvd and talk to tourists about things to do and steer the tourist to the clubs . The discount priced flyers are needed because they hand these flyers out by the hundreds every night to tourists in hopes of getting bonuses on how many people they can get to go. This old school marketing campaign works very well as you are approached by several people when walking down the street trying to hand you a flyer. Discount printing services are also available to conventions and trade shows. The vendors or companies simply order their digital printing in advance of coming to Las Vegas and pick it up when they arrive and save a lot of money.